Have you found an online vendor selling Bristol Classic Bristol spirits reserve rum of Mauritius ? I had a quick taste of it, but did not enjoy the experience. A very pronounced taste of herbs, which somewhat reminded me more the tastes of liquors from eastern Europe than that of a rum. Not surprised to read bad reviews here. Deel van een advent kalender, 20ml. Lijkt wel whisky, maar niet slecht. I only liked the dry ending, rest is not for me. It's like a whyski with some elements of gin but not refreshing. Tried the La Bourdonnais distilled Mauritius 5y Rhum and the bottle plus the label are very basic nondescript ones. Color is very light amber. Smell test reveals a bouquet of flowers. 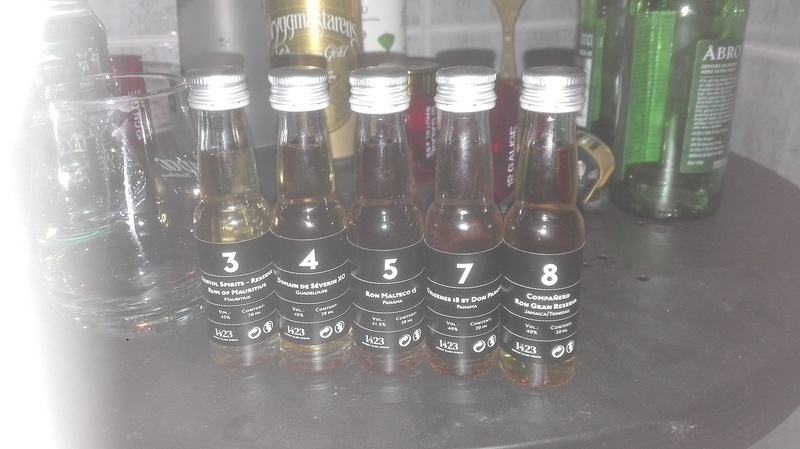 Taste test reveals a strong smokiness which is very unique to Rhum Agricole's. Not bad, but not great either. This is not a rum for me, not a fan of either the smell or taste. It has a delicate color like a caramel of fruit and mild wood on the nose and palate. It has a soft long term end of distinction. Vůně ořechová, rašelinová, drsná. Překvapení nebo spíš šok nastal po ochutnání. Chuť drsná, tvrdá, kouřová, rašelinová. Připomíná spíš whisky. The smokey wood taste is clearly present in the smell, but while drinking, it is not so pronounced. Very dry ending also. Horrible rum. Agricole is not for everybody and this one proves that. Nose: tequila mixed with grappa, plums and lether. Palate: a bad tequila with plum taste. Min første agricole-rom. Duften er kedelig, og smagen mangler noget kompleksitet. Smag af træ og røg. Dufter det meget af træ. Den har lidt kant og er for tør efter min smag. I'm not a fan of agricole rums, but this one is among the best agricoles i've tasted. Sharp, but not as sharp as other agricoles. Well balanced. Its agricole rum, but taste and smell is remindig smokey whiskey. Bites a bit by alcohol spicyness and has quite a long wooden finish. Its interesting but feels a bit unbalanced and incoplete. Duften er røg, træ og frugt. Smagen er kedelig og umoden. I lucka tre hitta man denna rom som doftar mycket lakrits och rök, mycket fatsmak och hint av lakrits. Rätt god om det var en whiskey, men det ska vara en rom så då är den inte speciellt god.